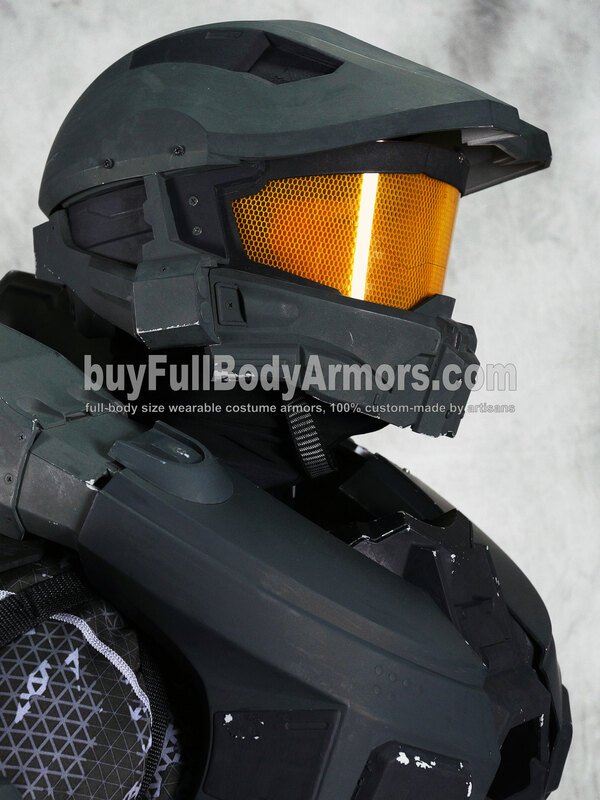 Pre-order the Wearable Halo 5 Master Chief Armor Suit Costume! 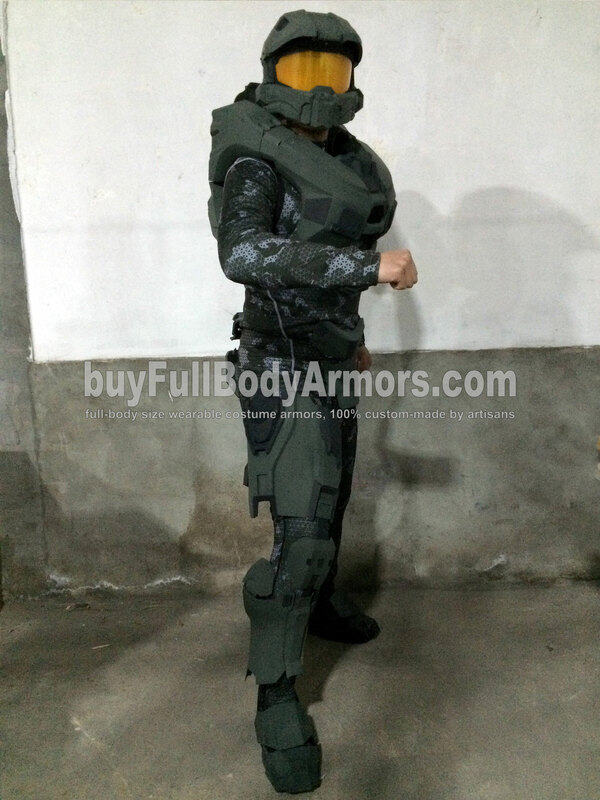 We now start to take pre-orders of the wearable Halo 5 Master Chief Armor suit costume. What's left before the official release? 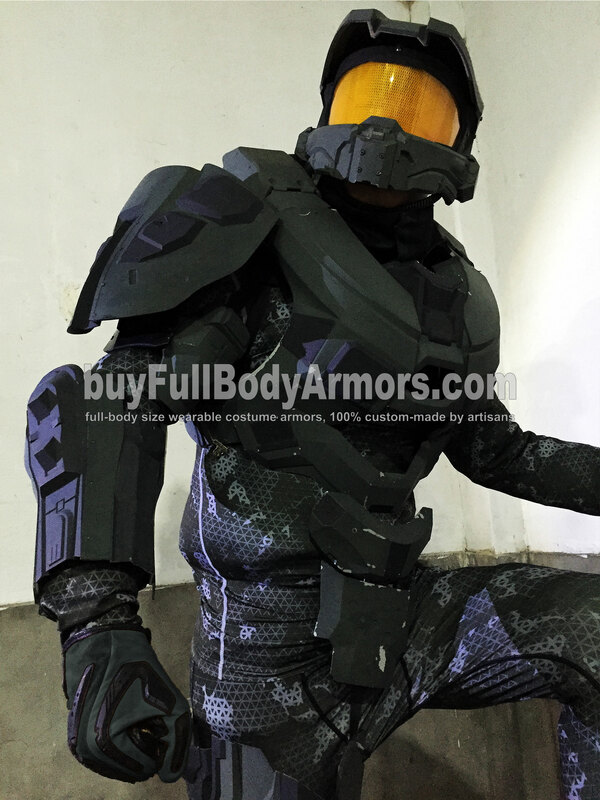 You can see there are several armor pieces missing in the prototype, e.g. 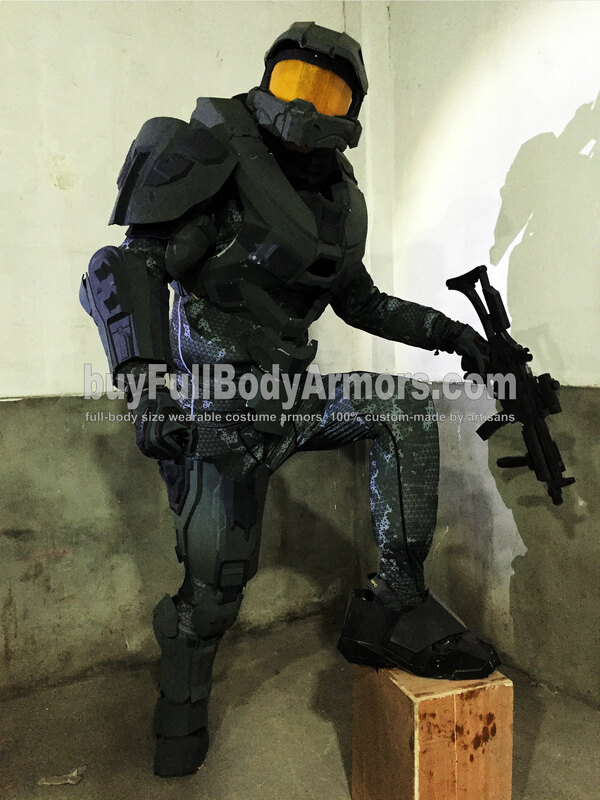 the right back pack, the left shoulder cap and arm armor, the left thigh and leg armor and the left shoe armor. 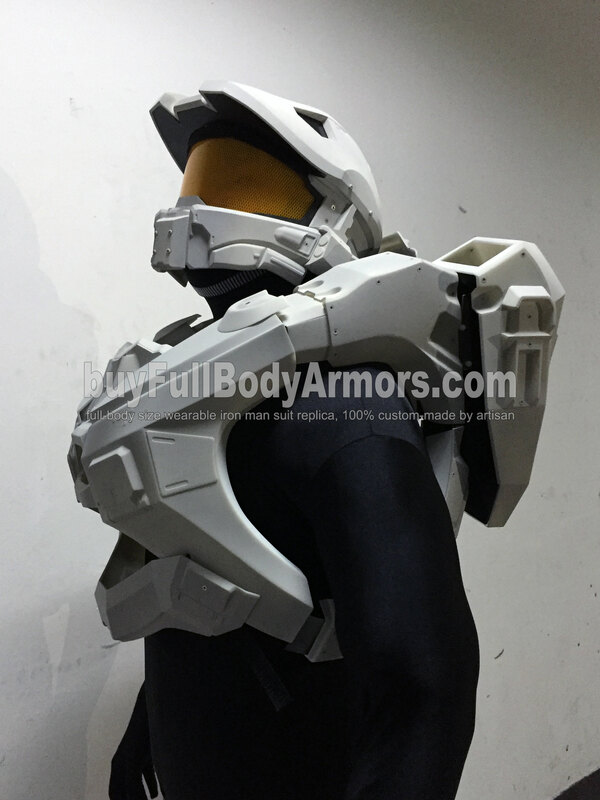 They are all symmetric to the pieces on the other side of which the wearing experience and overall presentation have already been tested and confirmed. We now just need to build them accordingly. 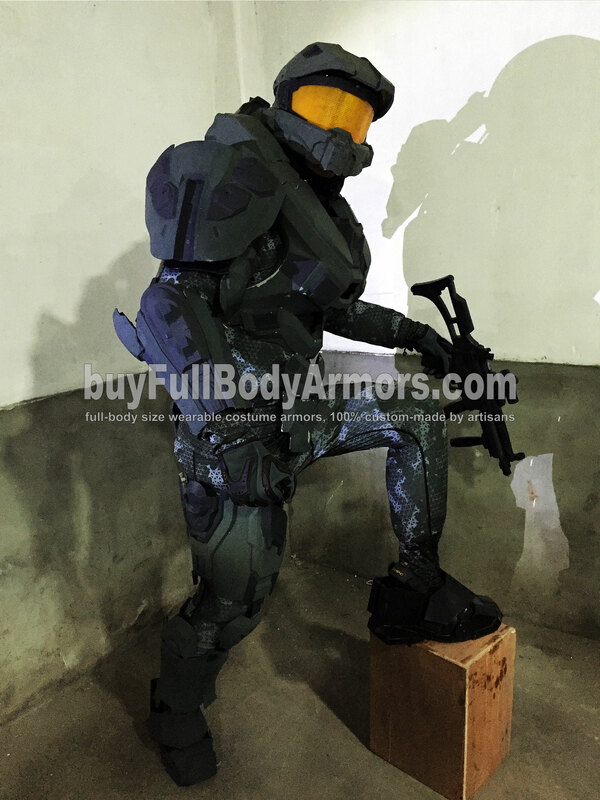 To give the prototype a visual presentation as vivid as possible without ruining the prototype, we use water soluble painting to color the armor. 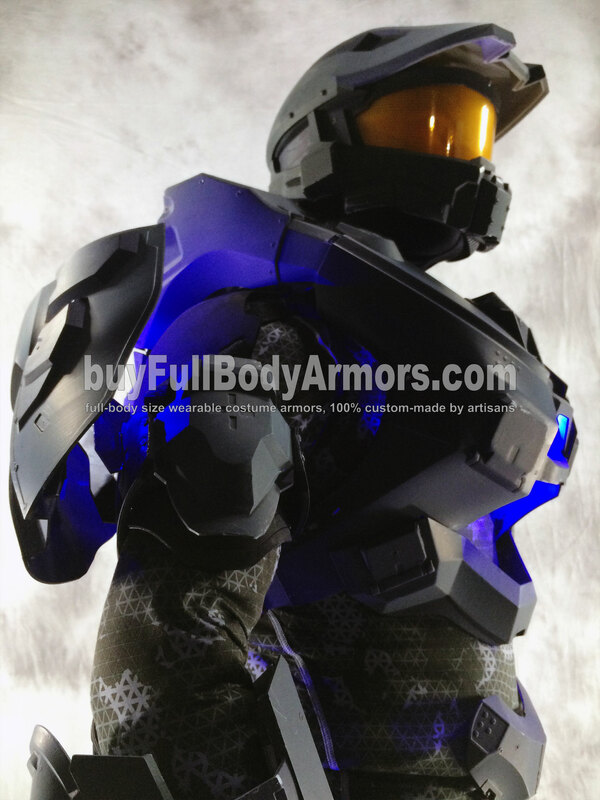 After we finish building the rest part of the armor, we will color the suit using automobile painting. 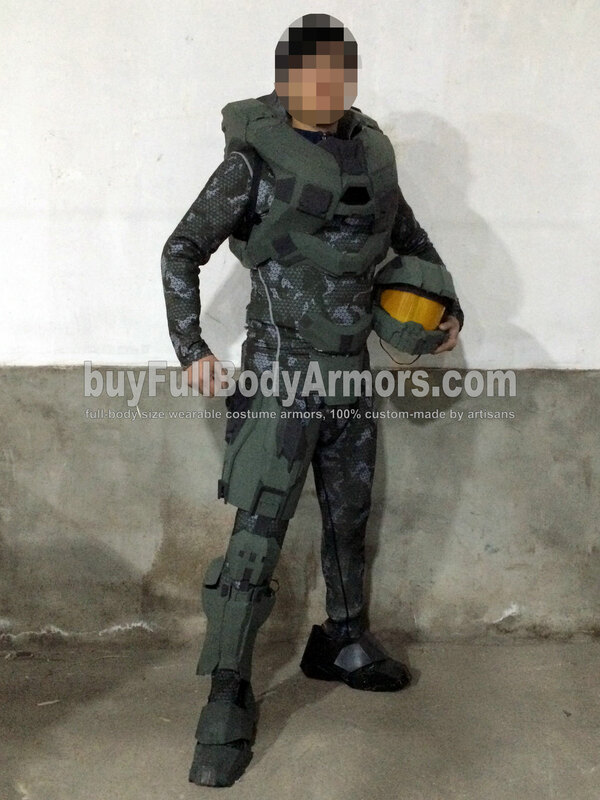 Moreover, we will use semi-glossy transparent protection painting to express the Master Chief armor's surface feeling. 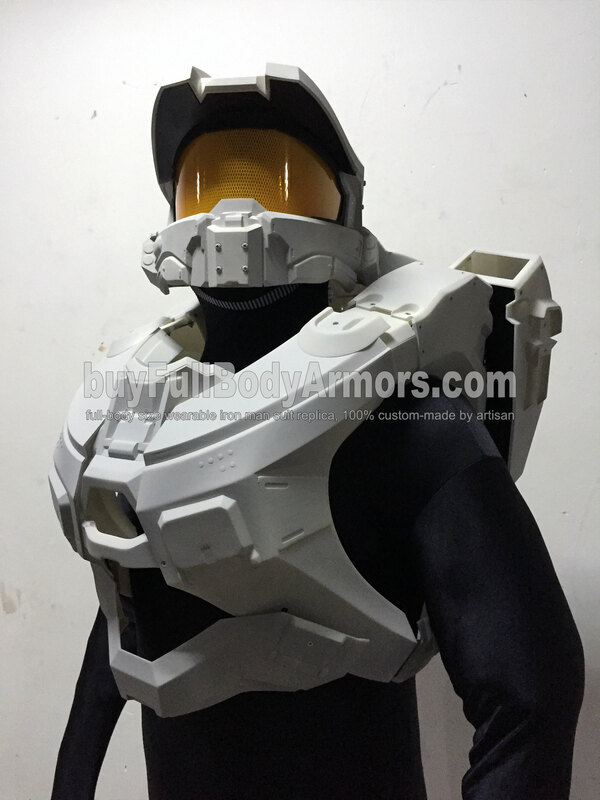 We designed several cool cold color LED lights under the shoulder caps, inside the chest armor and back packs and beside the thigh armors. 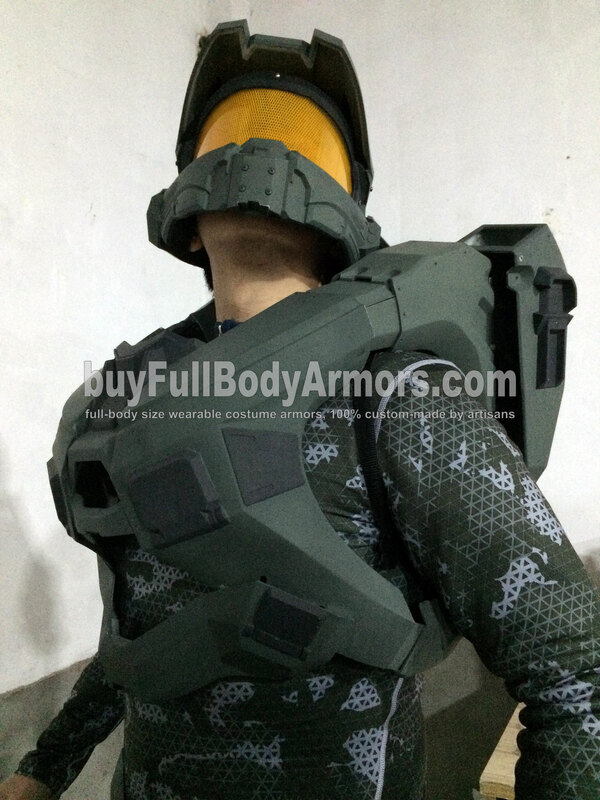 They are already installed on the prototype and you can see them in the photos taken by iPhone 6. 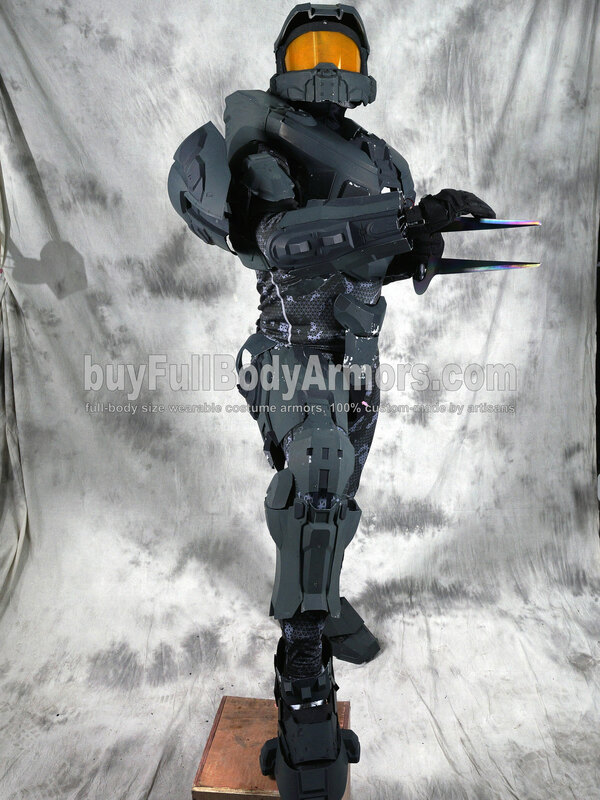 As for weapons, the energy sword and the ARC920 Railgun are available. We will release the raligun by the end of February. 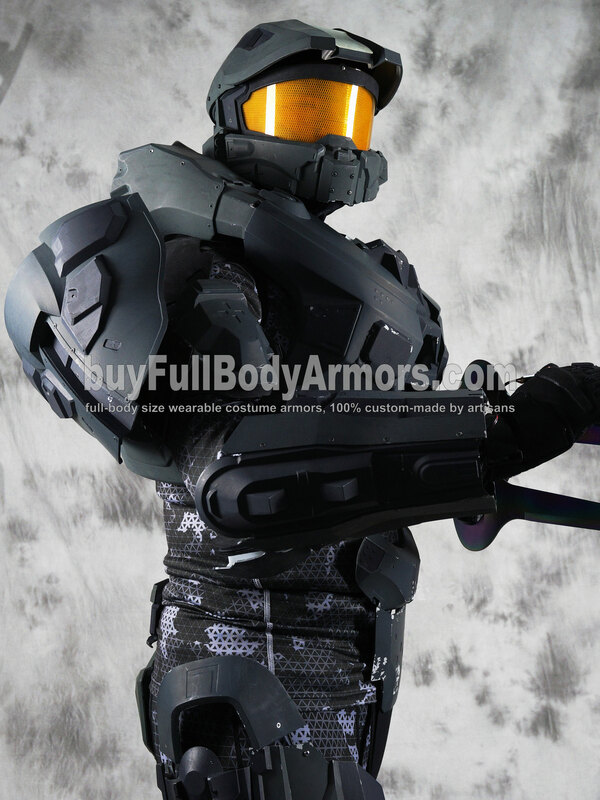 As usual, we offer a good discount for all the pre-order. pre-orders before official release: 30 working days. orders after official release: 25 working days. Urgent options available. 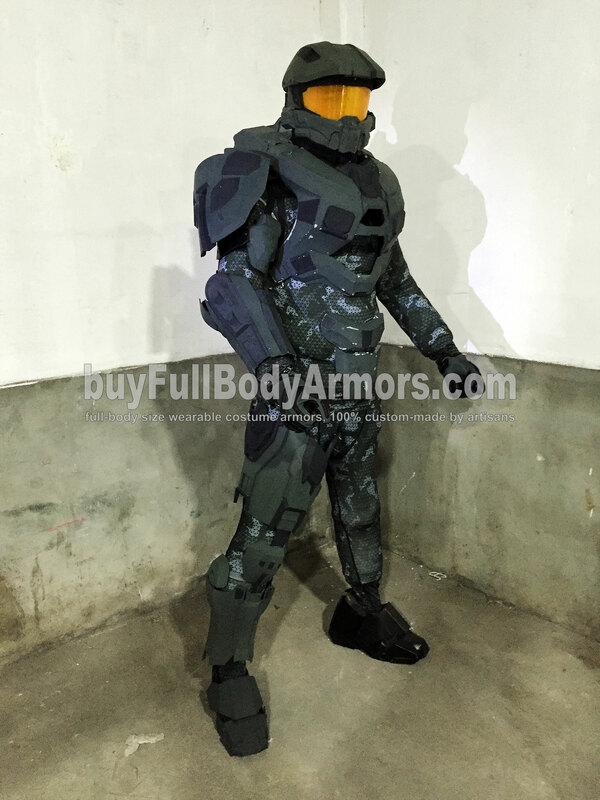 This entry was posted in News,Halo 5 Master Chief Armor Wearable Suit Costume R&D Full History and tagged Halo armor,Halo Master Chief costume,buy Halo Master Chief suit,Halo Master Chief armor for sale,Halo Master Chief suit for sale,full size Halo armor,full size Halo suit,full size Halo costume,full size Master Chief armor,full size Master Chief suit,full size Master Chief costume on Feb 12,2016.